In Stock Get it today & own it in 12 months or less. * The advertised Lease is a rental-purchase agreement for new merchandise. Unless you exercise your Early Purchase Option, to acquire the merchandise you must make 52 weekly payments of $9.00 (plus tax & delivery), for a $468.00 (plus tax & delivery) Total Cost/Total of Payments. This includes a $244.39 Cash Price3 and a $223.61 Cost of Rental. 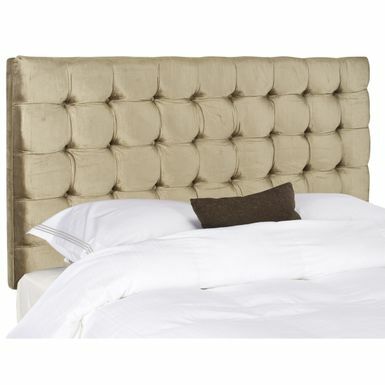 Constructed for finesse and delicacy, this headboard comes in champagne gold and is button tufted. Coming in full or queen, you will be able to enhance any bedroom effortlessly and beautifully. 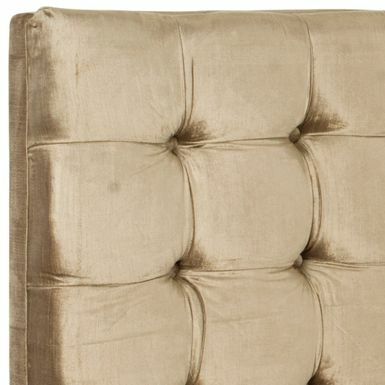 Constructed for finesse and delicacy, this headboard comes in champagne gold and is button tufted. Coming in full or queen, you will be able to enhance any bedroom effortlessly and beautifully. With a plywood with viscose and cotton blend fabric construction, you will ensure durability and luxury to complement any decor.